Renting an apartment, house, or commercial unit is often a part of life. At Carter Law Offices, LLC we routinely handle disputes between such tenants and landlords. In the unfortunate event you should be at odds with your landlord or tenant, give us a call. Carter Law Offices, LLC can advise you of your legal rights regarding your lease situation according to Missouri law. 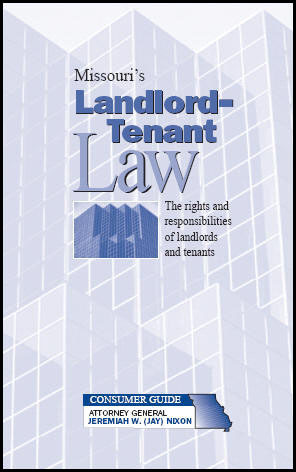 For residential concerns specifically, contact Carter Law Offices, LLC for a complimentary LANDLORD/TENANT POCKET HANDBOOK that is packed with information.